The 17 year old Lev has been improving very rapidly as of late. His eye for sharp tactics and very strong opening preparation makes him an always dangerous opponent. Another problem with playing against him is that he gets better every week, as is the case with young players. He was just 2200 a few months ago and now, in large part due to the New York Masters, has gotten his rating up to 2427! He is extremely tricky and loves to sacrifice and attack. You can see this from his opening choices. 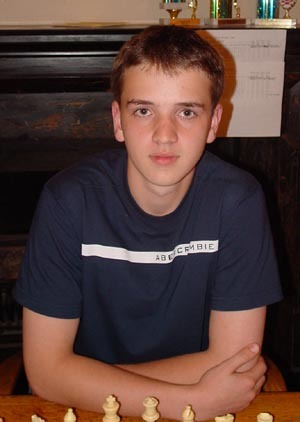 He likes to play the Smith Morra Gambit against the Sicilian, the Center Gambit in the Ruy Lopez and he also loves to play the fiery Dragon Defense, in which he is very well prepared. He very recently defeated his first grandmaster in the NY Masters as he defeated GM Alex Stripunsky in the black side of a Closed Sicilian. Lev is a very strong calculator and tactician, so one good attempt to beat him is to get him into some positional duel, with an opening like the English. Very soon we can be sure that even such methods will not work against Milman, as he will surely round out his game soon and become even more dangerous as he is now.